Ants .... in the garden they can be beneficial by feeding on fleas, termites, and other outdoor pests, but they are not welcome inside your house. This time of year during the hot summer months and early autumn months, ants are on the move and they look for cool habitats with food and water resources, warmth and shelter. 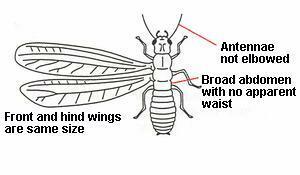 If you see ants, with or without wings, they can be distinguished from termites by a constricted "thin waist" - termites are broad-waisted. 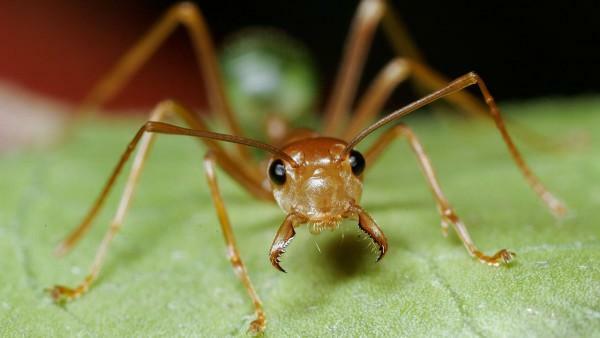 The best approach in dealing with ants is to prevent house intrusion in the first place. You should caulk cracks and crevices; store food(e.g. dog food) in ant-proof, closed containers; move organic mulch away from foundations; and remove fallen fruit from yards. If ants are inside, they will feed on almost anything such as, sugar, syrup, honey, fruit juice, fats, meat, and they will swarm if they find a considerable food source. Clean-up food spills and use tight-fitting containers. 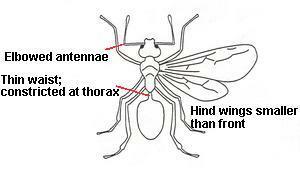 Outside, use commercially available baits near ant trails and nest opening. Get more tips and pest advice here.